This year's Westpoint Regatta Commemorative tee-shirts are the best yet. All of our shirts feature Gildan Soft Jersey performance fabric -- a wicking, quick-drying, antimicrobial fabric that feels like soft cotton. Order now, before race-day, and shirts are $25 to $28. IMPORTANT: Men's sizes small, 2XL, and 3XL and all women's sizes are available for PRE-ORDER ONLY. Only men's sizes M, L, and XL will be available the weekend of the race at full price - $30 each. 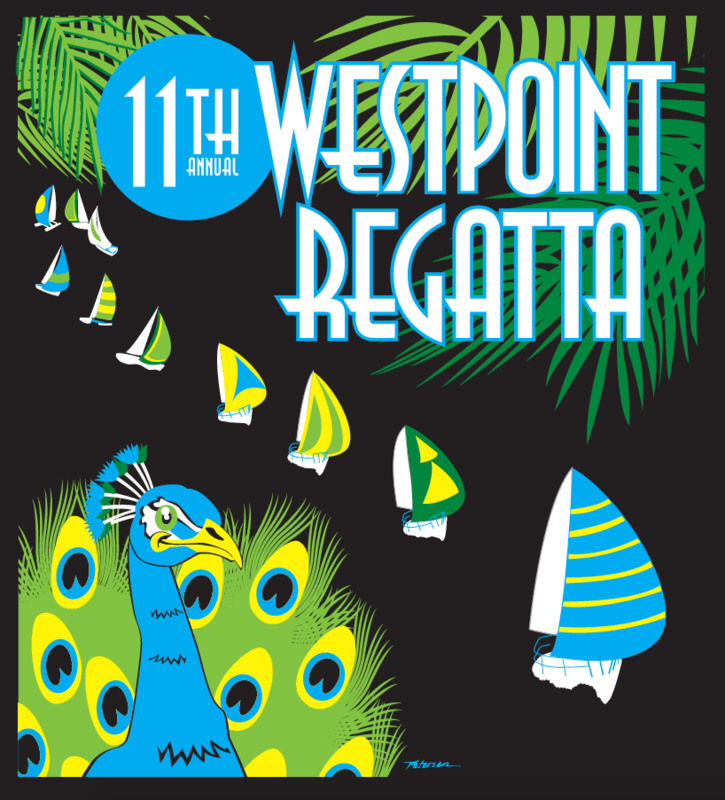 Limited quantities of 2019 Westpoint Regatta tee-shirts will be available for purchase at the Regatta pre-party or after the race at the Island Time Party at Sequoia Yacht Club but only men's sizes M, L, and XL will be available the weekend of the race at full price - $30 each.